Hello there and welcome back to another day of the Mable manis! I'm using all three polishes from yesterdays blog post which you can see here. For now though lets check out todays art! 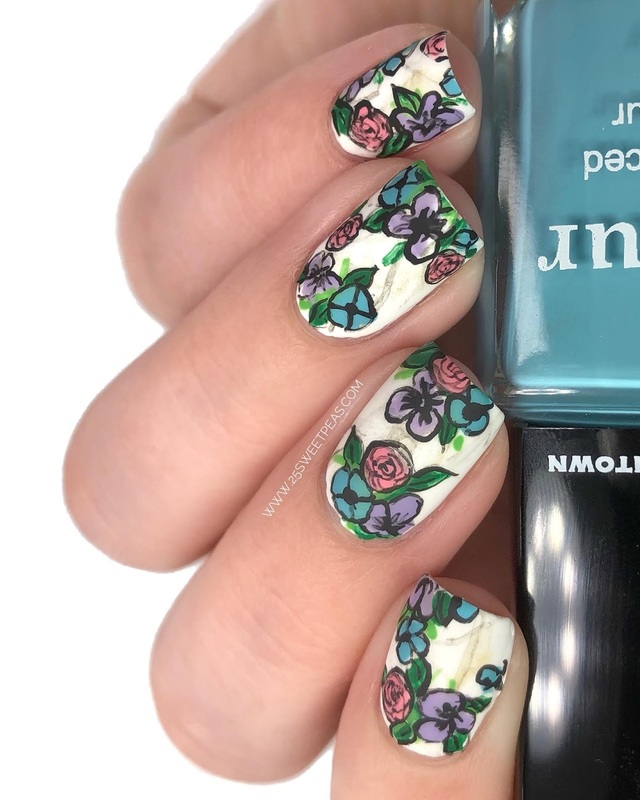 So to start off this look I applied white polish and then did a freehanded marble that I liked using grey acrylic paint and and a touch of gold acrylic paint as well. 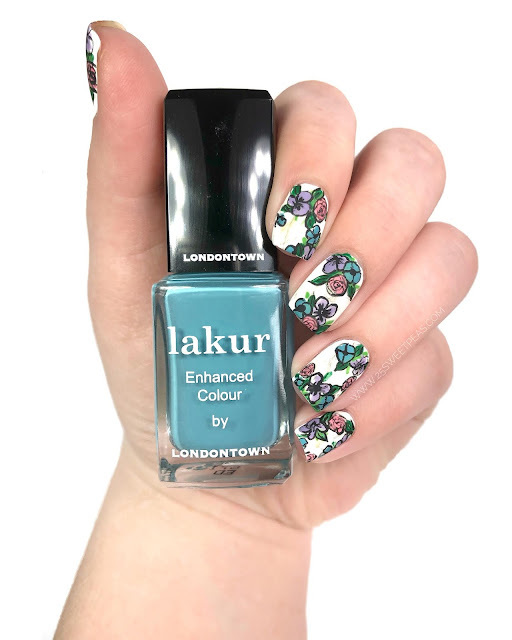 I then used the 3 polishes from Londontown Lakur to create the flowers and outlined then with black acrylic paint. 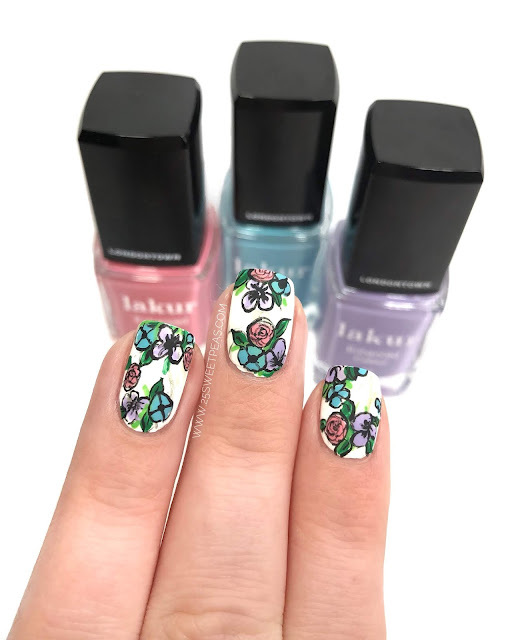 Super easy mani just a little time consuming since it the design is on all of the nails, granted if you are short on the you could totally do just one nail as an accent. Well thats it for today! I bit of a shorter video but on Friday there will not only be another Marble look but it will also be a Youtube tutorial so I'm excited about that! Especially considering I tried something new! :) Hope you enjoyed todays quick little post! 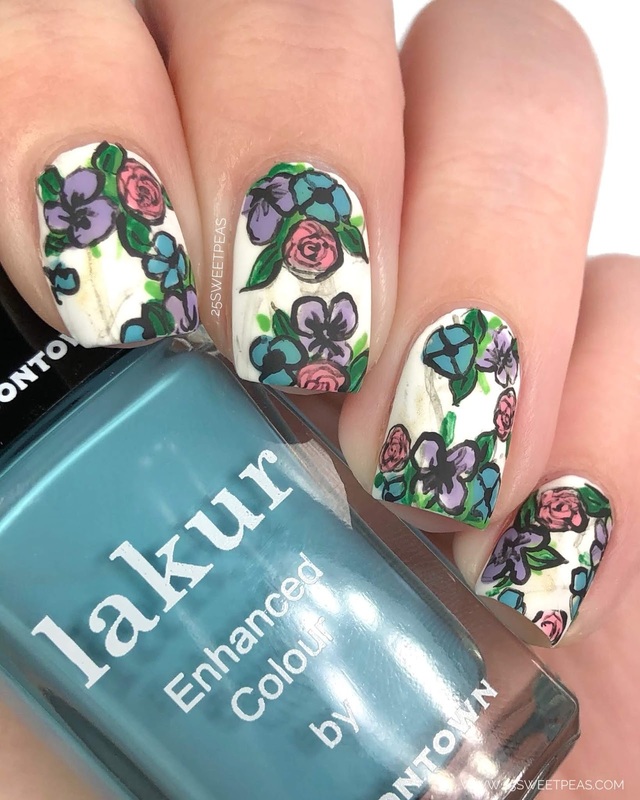 How lovely are those flowers? I adore this mani so much! !